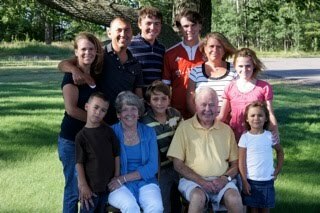 On November 1, George Hite, 80, of Eagle Harbor passed away at his home. 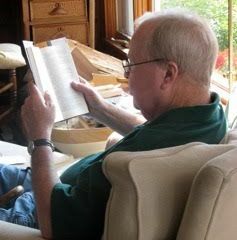 George was the Webmaster of this website, active in the Keweenaw Historical Society, and was an inspiration to many as an early adopter of the Internet. See his obituary for more on George's life. - All Three Of Them! Now have the "Cloud" issue solved. Check It out. Post a Comment. Looking For Front Page Photos From Earlier Years? October 0.0" Season To Date 0.0"
October 0.0" November 19.5" December 32.0" January 73.5" February 18.5" March 7.0" April 24.0" May 0.0"
Please Check Your "Eagle Mail" Address! The Harbor Journal Periodic Harbor Web Editor Observations, Accounts and Musings About Harbor Weather, Happenings, and Odysseys. "Eagle Harbor Web Facebook" viewers have access to occasional Harbor Web editor musings - not journals, let's call them vignettes - that many loyal followers of this web site, those not burdened/blessed with a Facebook account, miss. If you're among this group, you aren't missing much of interest or value. But a few have got wind of my innocent indiscretion, and, for whatver reason, have asked that I post these little Facebook morsels on the Harbor Web as well. So I will, at least those that meet the Harbor Web's literary standards for imaginative, opinionated, not necessarily factual, writing. 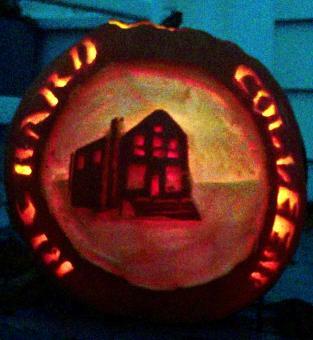 Here's my 2011 Halloween pumpkin. 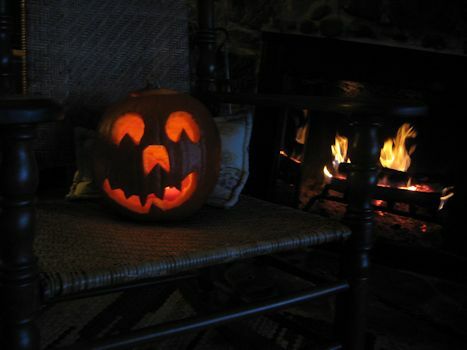 Shown resting comfortably after obligatory Halloween surgery in my fireside rocker. She's certainly not up to my former Martha Stewart inspired creations, but I ilke her simple and winning ways. She's good company, a happy camper in my cozy space. I might take her for a stroll down to the Eagle Harbor Store pumpkin patch for the Halloween gathering of her brethren, but rwill return her safely to her fireside perch rather than allow her to be hauled to pumpkin heaven, or is it hell - Boggio's deer feed stand. Maybe give her new lfe as a pumpkin pie. "Absolutely stunning." That's the reaction of someone who visited the Keweenaw National Park's new Calumet Visitors Center located in the beautifully renovated Union Building on Fifth Street. I hope to be able to post some photos of the state-of-art exhibits celebrating life and work in the former great metroplis of Red Jacket, but for now I'd encourage you to visit the web site Copper Country Explorer and read the seven part series about the history of the building, enriched with outstanding photos of the renovation. A visit to the new Center will surely be a "must do" on your next visit to the Keweenaw. The winds have calmed down now, but they have been horrific over the past weekend. Too bad we don�t have a way to measure aggregate wind, like we do precipitation. Let�s see, if it blows at an average velocity of say 30 mph, as I think was the case for at least the last three days, or 72 hours, (with gusts over 50) would that be an accumulation of 2,100 mile hours of wind? Something to ponder. In any event, this storm littered my camp with shingles torn from the upwind light station structures and drove the big lakers to cover. The Edwin H. Gott, a state-of-the�art thousand footer, sought shelter Friday night deep in Bete Gries, and as I write on Monday eve, she�s still there. (How do I know? Check my favorite ship-tracking site, http://www.marinetraffic.com/a?is/.) I wonder if the mariners of the late 1800s,in sailing vessels of less than a hundred feet, without auxiliary power, nor more than a compass for navigation, making the all important last run to Eagle Harbor with supplies to nourish our Central, Delaware and Copper Falls mining families through the long winter, would have been that cautious. 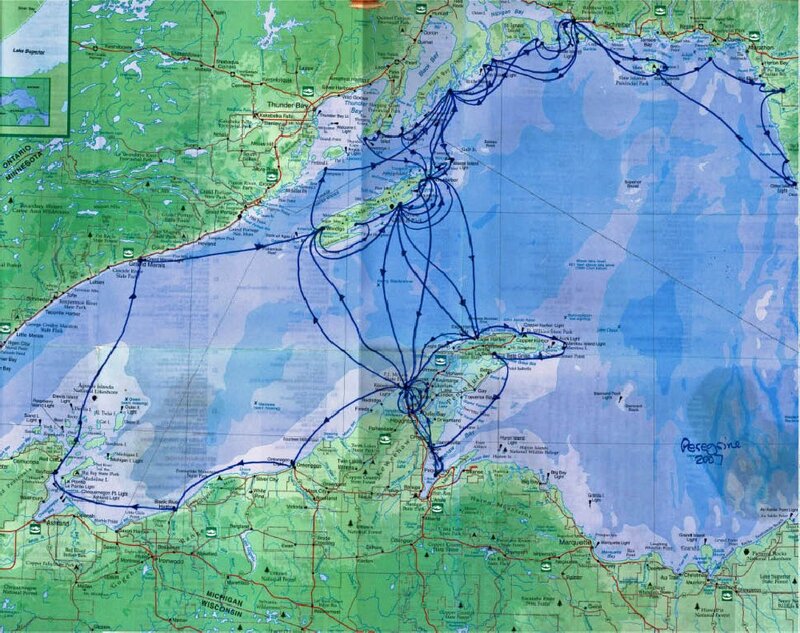 Probably not � that�s why the coasts of Keweenaw are now a shipwreck preserve. 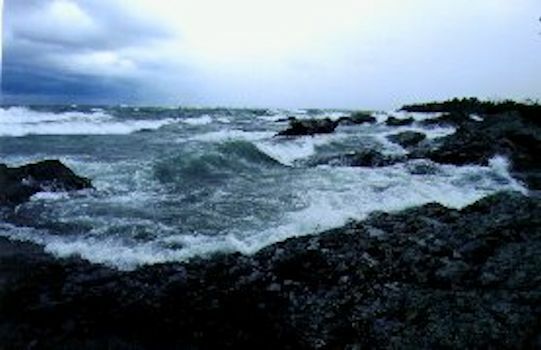 I ventured out onto the rocks just off shore from the Lake Breeze to capture an image of the big waves cascading over the harbor�s entry reefs, but, alas, both my legs and the camera battery failed so I leave you with a photo of another such late fall storm � a faithful image of what this storm was like. 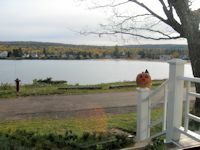 Posted a few old Eagle Harbor Halloween punkin patch pics on the mother web site today. 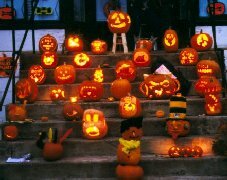 www.eagleharborweb.net Our Halloweens are always low key and with many of our best punkin artists trick or treating elsewhere or post peak as night prowlers, both the patch and the celebrants will be slim this year. The Probst kids, our only resident youthful trick or treaters are, of course, in m&m heaven. Grown ups, who once upon a time would throw a sheet over their head and trick or treat for a snort, now seem happier gluded to a Packer game. As for me, well, after a delightful encounter with the Probst parade, perhaps a stroll with my punkin to the town patch and then up the lighthouse to find out what mischief our resident ghost is up to on his night on the town. O'my, the number of folks occasionally stopping by the Harbor Web Facebook page has reached eleven hundred. At least that's the number willing to confess they're Harbor Huggars. I wonder how many thousand more stumbled in for a peek, and left muttering, "I don't get it. What's the big deal?" Ah, that's our secret - there are no "big deals". A crisp fall day, like today, with sunlight sweeping across the golden hills and sparkling like diamonds on the rippling harbor waters, and with clean and invigorating lake air filling our lungs, tinged just a bit with the sweet aroma of firewood burning, goes a long way here. Who needs a "big deal"? Are The Pumpkins Coming Again? Darned if I know. I sure hope so. What once enlivened the pause between color and snow, the Halloween gathering of artistically carved and decorated pumpkins on the steep steps of the former Eagle Harbor Store, seems to have withered in the face of fading and escapee carvers. Some of us, me included, are no longer inclined, or more likely able, to engage in such frivolity, while some of our still youthful, at least in spirit, and highly carver talented brethren have decided to trick-or-treat in far away, mostly warmer, places. To be sure, some of my neighbors still please us by sharing their jack-o-lantern offerings, but the less than a dozen, sometimes only two or three, glowing pumpkins huddled together on the store rampart on Halloween seem forlorn. One is tempted to give them a loving and appreciative hug. While you're waiting for something new from the pen of your Harbor journalist, I'll republish a few from the Harbor Journal archives that at least I find interesting to revisit. One of my favorites is Bears, an account of a hike to Baldy, something I'm not likely to do again. So join me for a virtual trek up the hill..
Bears. February 9, 2002. A friend, who I suspect thinks I spend too much time in the bush, loaned me Bill Bryson's, A Walk in the Woods, the author's account of his hike along the length of the Appalachian Trail - some 2200 miles. I'm still in Georgia, he is following spring north, but I get the drift - the bush is a scary place, laden with weirdoes and woollies. He's good humored about it, it's a very funny book, but the message is clear - one enters into natures realm at one's risk. He has a particular fetish about black bears, devoting most of an early chapter to his scrupulous research of bears feasting on unwary wanderers. It seems they are particularly fond of Snicker bar carriers. That got my attention - I almost always tuck an emergency ration Snicker bar in my pocket when I boot up for the bush. So, yesterday, when I set aside good sense, and yielded to the sirens luring me to snow capped Mt Baldy, I left the Snickers in camp. Of course, the odds of encountering a Keweenaw black bear in February are no better than my fortune in the Packer pools, but with the warmth of this winter, one never knows. Perhaps lured from his or her den by the appearance, or maybe the reality, of winter ending, stomach growling from too much fasting, pa or ma bear might be out looking for someone to eat. The pickings are pretty slim in February - not many tasty bipedals wandering about this time of year. Under these meager circumstances, even an old geezer like me might look pretty tempting. I think Bryson is a bit paranoid about all this canine chomping, but his research is compelling. I once thought that if accosted by a bear, one could avoid the inevitable by playing dead. Bryson says that only sometimes work with grizzlies (who seemingly are in it for the hunt), never with black bears. 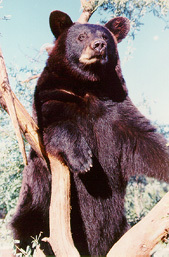 Black bears, the kind we have, are harvesters, compulsive nibblers. Of course, no one I know has ever been eaten by a bear, nor is spooky story telling time around late night beach fires laced with bear attack stories, but perhaps the subject is taboo. Would anyone ever confess that a bear had eaten a kin or acquaintance? Such accounts would also surely put a damper on our tourist trade, perhaps resulting in the closing of our beloved Harbor inn. The Gazette is ominously quiet on the subject. So I properly prepared myself for yesterday's trek. No sweet smelling soap for my morning shower; fresh unscented clothing for warmth; coat pockets and gloves combed for evidence of cookie or old Snicker bar crumbs. I even substituted plain old water for my usual bottle of sugary Coke. I equipped myself with a sturdy and sharp pointed old ski pole, thinking I might, so armed, be a match for an emaciated bear. As a last resort strategy, I tucked a couple of granola bars, laced with my most powerful angina painkillers, into a tightly sealed plastic bag. This might serve as an alternative snack item for the hungry bear, allowing me a few moments of idle chatter with my adversary as the drug took effect - then stealing away as the bear went into the land of Oz. Well, as is evident by the happy event of my being here to write this account, I managed to spend several hours in the spring-tinged winter bush without becoming an entr�e at a bear feast. Whether the result of my careful preparation, or the absence of fuzzy diners, I know not. I suppose one might question the basic premise, the bear's propensity for people snacks. Bryson is careful to note that the incidence of bears dining on their superior specie is rare, but I suppose if I shared that bit of knowledge with a bear about to chomp on my nicely toned pot belly, the bear would simply say, "So this is my lucky day!" My trek, while uneventful as a dining experience, was not without some misfortune. As I ambled back to camp, my own hunger pains beginning to mount, I absentmindedly reached into my pocket, pulled out a delicious looking granola bar, and chomped it down. Ten minutes later I was bathing in Cedar Creek, unable to keep my balance as I attempted to cross the creek by walking along a downed tree - a trick of little consequence a few hours earlier. I bet the stalking bears thought it funny. A forum for posing and answering questions about Eagle Harbor. The Latest: Where and What Is This? You might stumble upon this out in the bush. What is it? Just a couple blocks from downtown Eagle Harbor, this brightly painted carving sits high in a tree trunk. What's the story? Who carved it, and why? 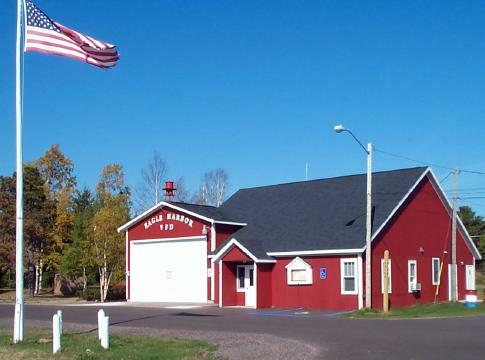 What Happended to the Eagle Harbor Life Saving Station? Built In 1910-1912, It Disappeared in The 1950s. What happened To It? The Ah-Wa-Nesha? Who knows the history of one of Eagle Harbor's most b eautiful boats? 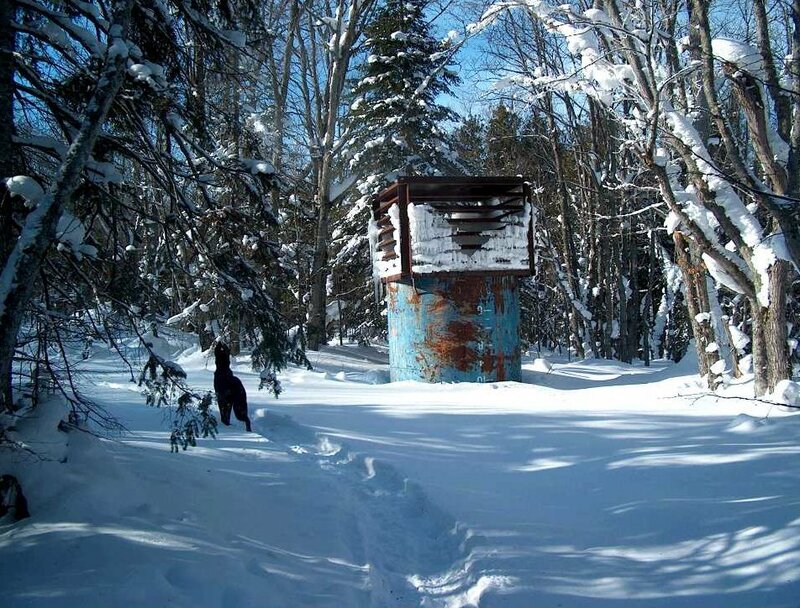 Where Is the "Arch Rock"
Are there mountain lions in the Keweenaw? Why are five Mile and Seven Mile Points so named? How much does one of Keweenaw's giant snow plows cost? How Long Does It Take To Swim Across The Harbor? Who Claims The Record? What's it take to get the lake effect snow machine going? Where's the "Old Military Road"? "Where are the "stamp sands"? "Is the story of a load of automobiles being driven off a ship wreck true?" "What's the scoop about a big float copper find in Great Sand Bay?". A record of this and past years' Keweenaw snowfalls. It was the only game in town! Fearless forecasters vied for bragging rights and fabulous prizes. Sorry, no contest this year. 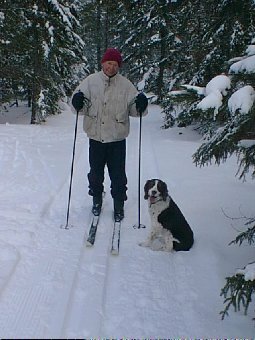 Yes, for several years snow junkies p[articipated in what passes for entertainment at Eagle Harbor. It's our opportunity for fame and fortune. Despite suggestions that this is just a game of chance, past winners have almost all attributed their success to skillful analysis of such things as global weather patterns (for sure the El Nino phenomena), solar wind forecasts. and even the historical correlation between the state of the economy and snowfall. Dont forget, there is more than fame to be gained. Monthly winners in November through February, the big snow months, will feast on the scrumptious pasties from our friends at Pasty Central , and our total season champ earning the choice of either a Copper Harbor dinner cruise in PEREGRINE, or a weeks use of the Harbor Web's guest cottage. 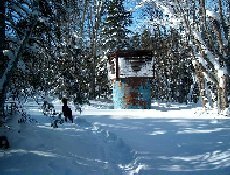 For more information, including some Keweenaw snowfall historical data, please go to: 2007- 2008 Keweenaw Snowfall Forecast Contest. Some winter pictures for those who aren't fortunate enough to be here! Harbor Potluck. A wonderful collection of reader submitted Eagle Harbor related stories, poems, whatever. The Thor Saga, by Fred Geis. Some pooch. geezer troubles up at Copper Falls. An irresistible urge meets an impregnable morass. Youthful exuberance, good deeds, and other Harbor holiday shenanigans. What's our noisy neighbor up to now? Early October, 2011 Lake Level is 12" Below Normal And 2" Below This Time Last Year. For the latest on inflows, outflows, levels, etc. check out Environmemtal Canada's Level News . 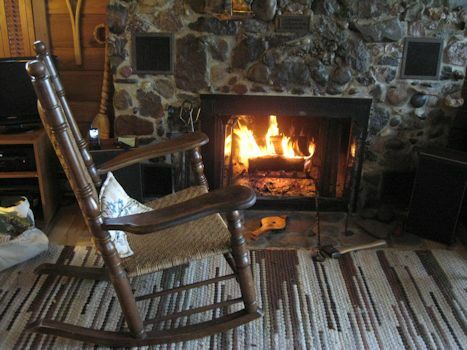 Ever wondered about the history of some of Eagle Harbor's landmark cottages. Here's what we hope is a building collection of stories about these cottages as submitted by their current owners. Ann Johnson's "Note From A Cabin In The Woods"
"A Look Back At 2004 - A Year Of Change" Ann's no longer writing these letters, but they are still lively and interesting to read. 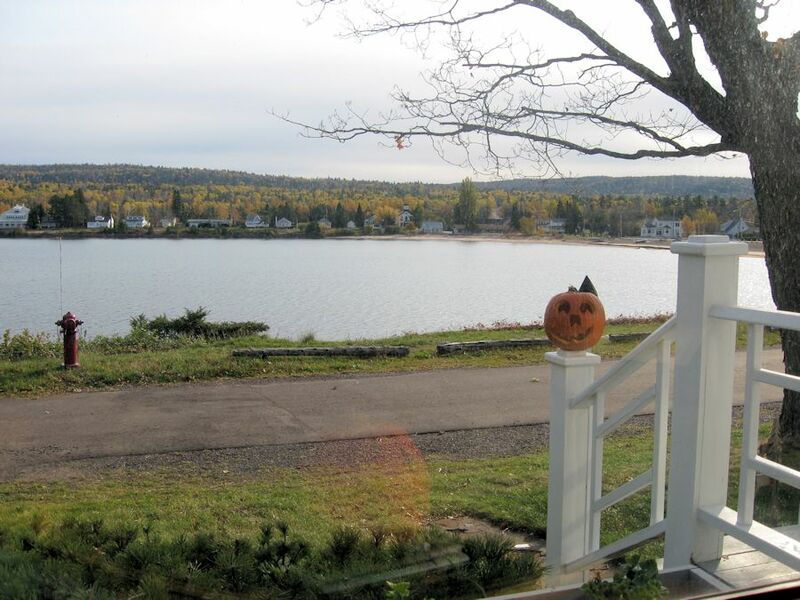 Not everybody is lucky enough to have a cottage, camp, or accomodating relative waiting for them at Eagle Harbor. Here are some folks who share our love of the Harbor, but need a place to stay. If you can help them, or know someone who might be able to, please send them an email. Our listing also includes a few "place to stay" possibilities. If you want to list, please send an email with particulars. Dave and Peg Carlson - Cedar Point Cabins . Township email address is office@eagleharbortwp.orgTownship Office. 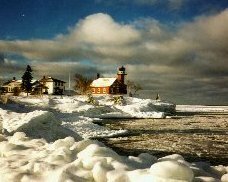 Harbor Photo Gallery is a show place for the many very talented photographers who capture the beauty of Keweenaw and Harbor summers on their film. If you have photos you would like to add to our collection, email them to George or snail mail them to me. (277 E North St Eagle Harbor MI, 49950). Pine Grove Cemetery entry sign repairers Doug and Ginny Schubert and installer Fritz Kesanan. 2005 Eagle Harbor Halloween Pumpkin Art Festival! Once again the pumpkins have gone to pumpkin heaven (locally known as Boggio's Deer Blind.) They were probably glad to get out of the Festival pumpkin patch. It was COLD and wet out there! But a good time was had by all, and the pumpkin creations were, as usual, a glorious sight to behold. The place to post a Favorite Harbor memory, thing to do, place to go, food to eat, etc. Latest Posting: "Memories from 1976"
Don & Barb Nelson's saga of deer feeding and bucks shedding antlers. Some digital camera shots while walking about the Harbor. The Eagle Harbor community commemorated the advent of a new millennium by paying homage to the good works of the community's founders. Not the least of the tangible evidence of their contribution is the Eagle Harbor School House, a handsome example of early American school building that sits alongside the harbor's south shore. It served as the place of learning for hundreds of Eagle Harbor kids from 1872 until its closing in 1956. After two years of restoration funded by the generous donations of many Harbor families, the structure reopened in the millennium summer as a place of community gathering. A July 2nd celebration and rededication, complete with hours of joyus school bell ringing, was attended by almost 200. Township and County planning committees recently prepared an updated comprehensive plan for our area. Called Blueprint for Tomorrow it was adopted in 2002. Eagle Harbor Township subsequently decided to have its own zoning regulations and adopted an interim zoning ordinance in early 2007. The County at the same time adopted a new zoning ordinance covering the rest of the county.. Visit the Eagle Harbor Township Web Site for links to these documents and status reports of the Township's current drafting of a comprehensive plan to replace Blueprint for Tomorrow within the Township and serve as a basis for a permanent Township zoning ordinance. 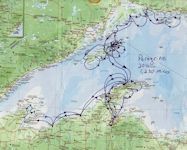 Keweenaw and Township Development OpinionHere's an archive collection of your Harbor Web Editor's musings and letters to public officials and neighbors on Keweenaw and Township development issues. Click .Keweenaw Development.for reports and comment on other development issues. 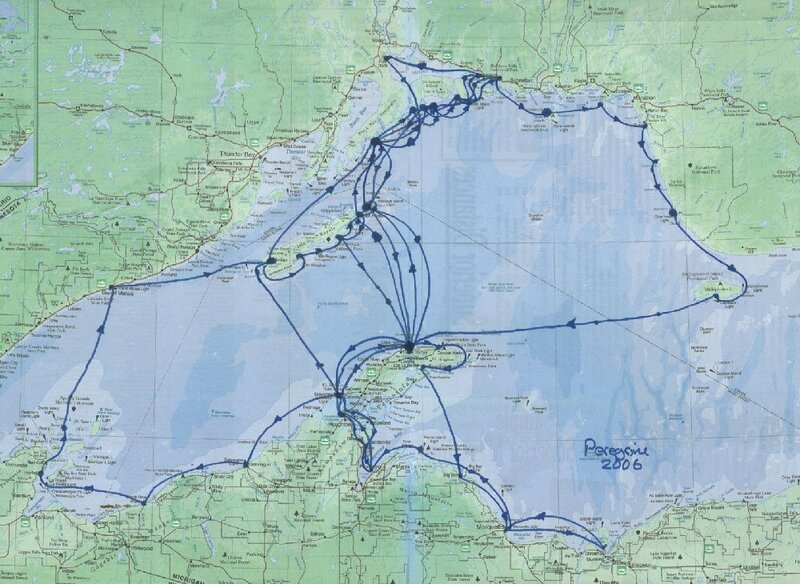 Internet connections to other web pages for people who enjoy the Keweenaw, especially Eagle Harbor, and the things we do here. Gull Rock Lightkeepers. 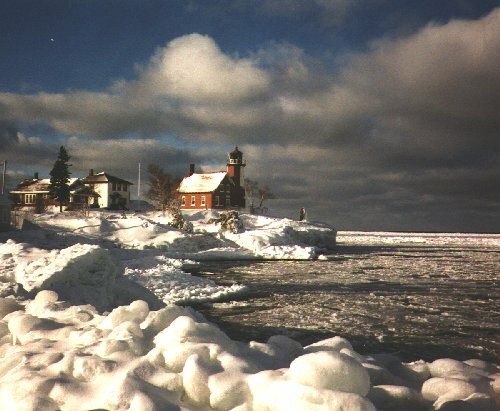 The lonely little lighthouse off the tip of the Keweenaw has new keepers who are busy restoring it to its former glory. Check out their progress. Harbor neighbor Neil Harri is a skilled pilot and photographer, and frequently contributes his photos to the Harbor Web.. We often see him buzzing above the Harbor snapping pictures. Now he has web site for sharing and selling his beautiful photos. Check it out. A place to share old pictures of Eagle Harbor, Harbor events, and Harbor people. Pictures that abound in old family albums, scrapbooks, and dusty files that might help us better understand and appreciate the Harbor that is now ours to enjoy. Mail or email any you might have to George and I'll add them to what I hope will be a growing collection. 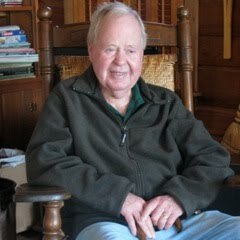 George, your editor, muses about life and the changing Eagle Harbor community. Latest Musing. What Makes Eagle Harbor So Special? We have collected more than 250 e-mail (Eagle-Mail) addresses of Harbor area friends and neighbors. Look here for the current whereabouts of someone you would like to send a friendly "Hello!". You will also find links to the web sites of Harborites. If you are not listed and would like to be, or your address changes, please "Eagle-Mail" to George today! Harbor Moose Population Drops To 650!. (Click Moose for the Big Picture.) Bet that headline got your attention. OK, so the moose in mind are all on Isle Royale, but it is in Eagle Harbor Township...at least the west half of the island. (East half is Houghton Township...not sure why since on the peninsula Eagle Harbor Township is east of Houghton Township.) Anyway, the big news from the winter '07-'08 annual census of Isle Royale moose and wolf population was the continued decimation of the moose, primarily due to tick infestation brought about by warmer summers. (There were an estimated 2,500 moose on the island in '95-'96.) The wolf count, which has been as low as 11 and as high as 50 in the annual winter count, has stablized at 23, with two additions in the latest count. (Two mature wolves died, but four pups survived.) The ratio of moose to wolf is quite low, now just about 28 to one. Considering that the researchers estimate the "kill rate" to be about 2/3rds of a moose per wolf per month, the wolves are having to be more aggressive hunters, with packs increasingly invading each others territory. There are now four wolf packs scattered about the island, with pack sizes ranging from 4 to 8. For the full story on the latest moose and wolf research, go to Isle Royale Moose and Wolf Research Annual Reports and click on the 2007-2008 Report. There are some great photos in these reports. This year�s report from Isle Royale�s wolf/moose winter study is in, and the numbers show the wolf population at 24, up just one from last year�s count. Moose have had another hard year with a loss of over 100 animals, down to 530. The biggest news from this year�s report is the confirmation that Isle Royale�s wolves are suffering from backbone malformations caused by genetic inbreeding. 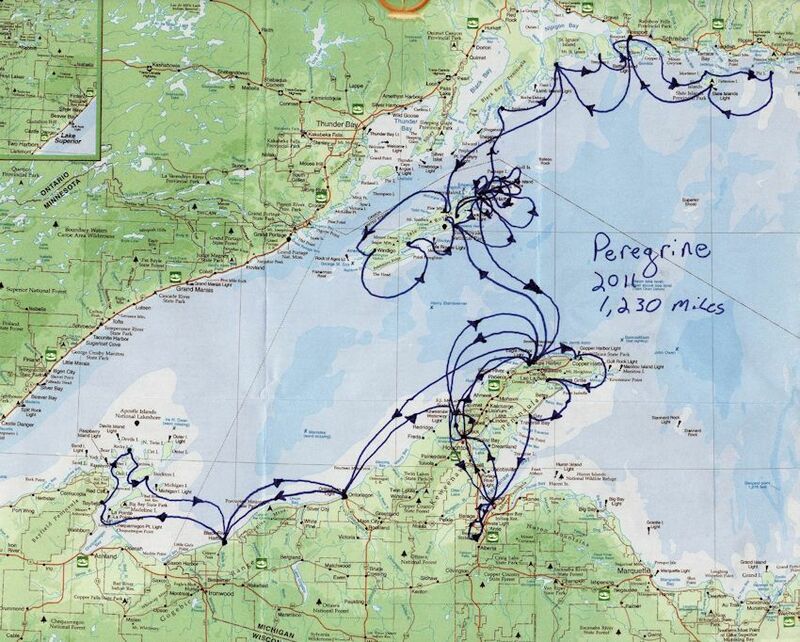 That finding raises the important question: Do Isle Royale wolves need genetic rescuing? This is the topic of discussion on the Isle Royale Wolf Study website. You can weigh in on this important issue, or just read what others have said. There are already 114 responses posted today and you are encouraged to join the discussion. 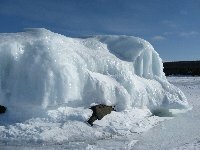 Lake Superior: Does Water In = Water Out?. A Message To New Eagle Harbor Web Viewers. Welcome! Remember the small town newspaper? The Eagle Harbor Web is the same idea gone high tech. Just as corny,as unpredictable,as untimely, but, hopefully, as friendly as the Chillicothe Constitution Gazette,or your town paper of choice. (At least those are my editorial standards.) Perhaps you'll find a few nuggets of stuff you didn't know, will meet some new friends, and enjoy a chuckle or two. It's for anyone with a browser, but if you don't know where the Popeye Rock is, you'll be bored to death. So help yourself to the inside pages by clicking the "picture thumbnails" (the little pictures) and learn what your township has done for you lately, meet some old and new neighbors, say thanks to some special people, find ways to do your part to keep Eagle Harbor special, share a memory, and catch the flavor of the place in AJ's Letter and The Harbor Journal. And please, Sign The Guestbookand send me your comments, your questions, your news, and any ideas you have to make the Eagle Harbor Web more useful and interesting (keeping in mind the editorial standards.) Thanks for checking in. George, web site editor. An opportunity to better know some of our "old" neighbors. Most of us live or visit here because we like "to get away", but we also like "to get together". Neighbors are important, and "old friends" are especially valued. More than you want to know about this web site's editor. Why would anyone do this? Please send your comments, suggestions, questions, news, Good Neighbor nominees, Potluck contributions, Harbor Q & A questions/answers, new neighbor introductions, and anything else that suits your fancy. Internet is interactive, so jump in.